Located right on the riverfront at the corner of Water and Buffalo Streets, Blue Bat Kitchen and Tequilaria just might be your new favorite place in the Historic Third Ward. Taking the place of the old Water Buffalo, Blue Bat brings a fresh vibe to a great location. The first thing you’ll notice about this place is the atmosphere — it’s sleek, modern, and attractive, but not at all stuffy or intimidating. It’s like an upscale version of a laid-back beach bar on the boardwalk. The menu features what Blue Bat calls “global street food” — tacos, salads, grain bowls and appetizers inspired by beach towns from Baja to Borneo. Yelpers’ favorite menu items include the fried Brussels sprouts, the Moroccan cauliflower bowl, and the mezcal agave steak tacos. 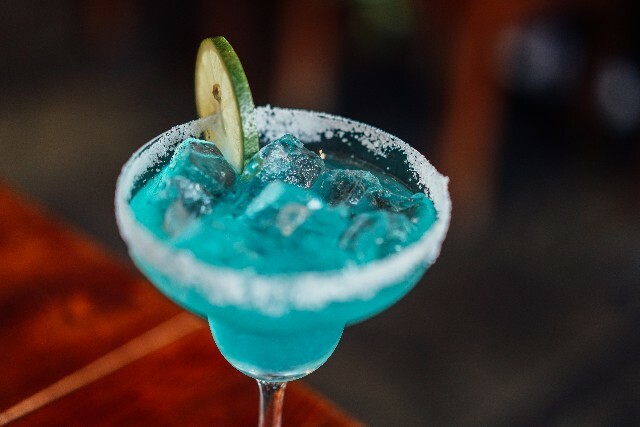 In addition to more than a dozen signature tequila and mezcal cocktails, there’s also an impressive list of wines, craft beer, and ciders.